John La Mattery was born in France to American missionary parents serving abroad. John began elementary school in Riverside County but completed his formal education in Japan before returning to San Diego in 2003. In the early 2000s, during the outset of his career, John worked as both a Real Estate agent and Mortgage lender in his family’s company, JL Moneyline; a Real Estate and Mortgage company that brokered residential home loans through Bank of America, JP Morgan Chase, and various other financial institutions. This is where John learned the rudiments on how financial institutions operate and lend, this is also where he learned the important role that Fannie Mae, Freddie Mac, HUD and the VA play in our housing market. 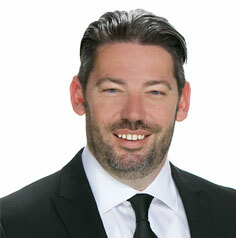 In 2011 John was recruited by San Diego Real Estate and Investments to develop their Buyer Agent team, where he was instrumental in helping the group obtain the coveted #1 Real Estate Team designation by the Wall Street Journal for the highest volume and most homes sold in the City of San Diego for 2013. He continued to help them maintain their bellwether status for 7 years.